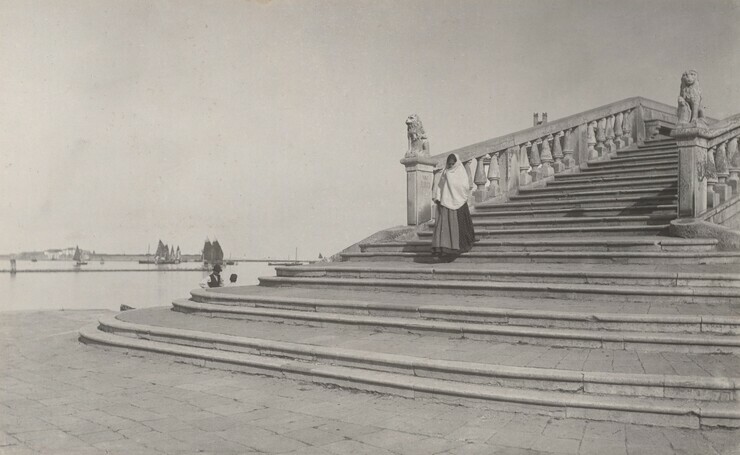 Sarah Greenough, “Alfred Stieglitz/Stones of Venice, Chioggia/1887, printed 1929/1934,” Alfred Stieglitz Key Set, NGA Online Editions, https://purl.org/nga/collection/artobject/35190 (accessed April 26, 2019). For information about Stieglitz's trip to Chioggia, see Key Set number 39. For more information about this photograph, see Key Set number 40. Greenough, Sarah. Alfred Stieglitz: The Key Set: The Alfred Stieglitz Collection of Photographs. Washington, 2002: vol. 1, cat. 41.